If you live in the Wilsonville area and your child is under 5 years old, he or she is eligible to receive free, high quality, age appropriate books delivered to your home once a month! The Wilsonville Public Library Foundation is the local champion of Dolly Parton's Imagination Library. 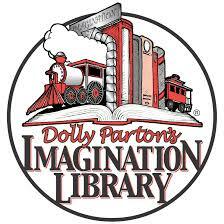 Over 1,300 communities in the United States, Canada, the United Kingdom, and Australia are affiliated with Dolly Parton's Imagination Library. Wilsonville, Oregon is one of those communities, thanks to the Wilsonville Public Library Foundation. Dolly Parton began giving books to children in her home town of Sevierville, Tennessee over ten years ago as a tribute to her father, who was illiterate. She knew that when children are read to at home, they are more prepared for kindergarten and ultimately, they are more successful in school. Over time, the book program grew and became Dolly Parton's Imagination Library. The Dollywood Foundation now teams up with Penguin Books to provide books at a low cost to communities who want to get books into the homes of preschool children. You can learn more about Dolly Parton's efforts at www.imaginationlibrary.com. In Wilsonville, the books are provided free of charge, thanks to the Library Foundation and our generous partners and donors, to any child living in the attendance area for any of the Wilsonville primary schools. To make your tax deductible donation, please make checks out to Wilsonville Public Library Foundation.